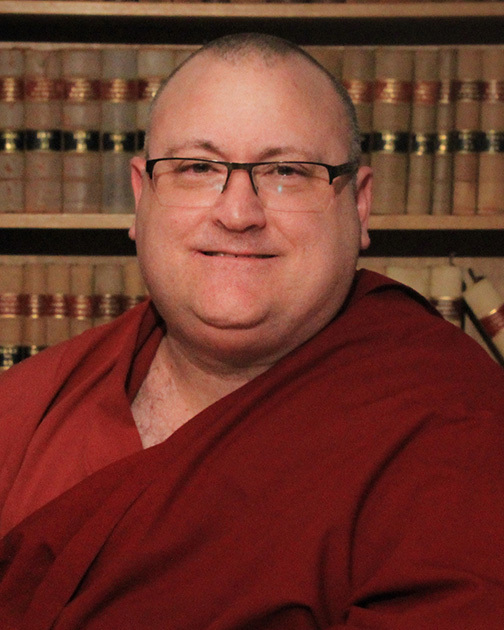 Venerable Alex Bruce is a Buddhist Monk and Associate Professor with a number of research interests. His work on Animals and the Law has been acknowledged internationally through his appointment as a Fellow of the Oxford Centre for Animal Ethics and as an editorial member of several international Animal Law Journals. Alex’s text Animal Law in Australia: An Integrated Approach (2012) was Australia’s first sole-authored Animal Law text and is shortly to appear in a Second Edition. Before joining ANU, Alex was a Senior Lawyer with the Australian Competition and Consumer Commission and his other research interests include Competition Law and Consumer Protection Law. His important texts Australian Competition Law and Consumer Protection Law in Australia are shortly to appear in Third Editions and are used in many law schools throughout Australia. In addition, Alex has a research profile in Comparative Theology, particularly focused on Buddhism and Christianity. Having created and moderated the 2007 Interreligious Symposium with His Holiness the Dalai Lama, he is a regular speaker at Comparative Theology Conferences and Interreligious Dialogue Initiatives both throughout Australia and Internationally. In October 2016, Alex travels to the University of Oxford where he will commence work on a DPhil in Theology. A recipient of the ANU Vice Chancellor’s Award for Teaching, Alex is a Senior Fellow of the Higher Education Academy. A PhD scholarship to Oxford University will give ANU College of Law Associate Professor Ven. Alex Bruce the opportunity to fulfill two long-held aspirations - the chance to study theology, and play a Bach lute suite in the Oxford cloisters. Appointment as a Fellow of the Oxford Centre for Animal Ethics is a prestigious recognition of Associate Professor Alex Bruce's outstanding contribution to the field of animal ethics and research. The ordained Buddhist monk, who studied animal law, is one of 2000 students graduating from the university this week. Venerable Alex Bruce is a Buddhist Monk and Associate Professor with a number of research interests. His work on Animals and the Law has been acknowledged internationally through his appointment as a Fellow of the Oxford Centre for Animal Ethics and as an editorial member of several international Animal Law Journals. Alex’s text Animal Law in Australia: An Integrated Approach (2012) was Australia’s first sole- authored Animal Law text and is shortly to appear in a Second Edition. Before joining the ANU, Alex was a Senior Lawyer with the Australian Competition and Consumer Commission and his other research interests include Competition Law and Consumer Protection Law. His important texts Australian Competition Law and Consumer Protection Law in Australia are shortly to appear in Third Editions and are used in many law schools throughout Australia. In addition, Alex has a research profile in Comparative Theology, particularly focused on Buddhism and Christianity. Having created and moderated the 2007 Inter-religious Symposium with His Holiness the Dalai Lama, he is a regular speaker at Comparative Theology Conferences and Inter-religious Dialogue Initiatives both throughout Australia and Internationally. From October 2016, Alex will be working on a DPhil in Theology at the University of Oxford. I am willing to supervise in the relevant areas.